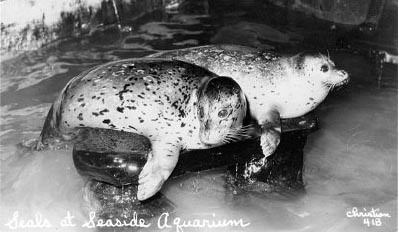 On the Beach Since 1937 - Seaside Aquarium Celebrates 75th Anniversary! 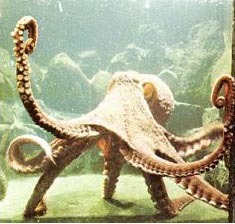 The Seaside Aquarium is the oldest privately-owned aquarium on the west coast. For seventy-five years, daily operations have relied completely on aquarium admissions and gift shop sales. We are still open thanks to visitors like you! 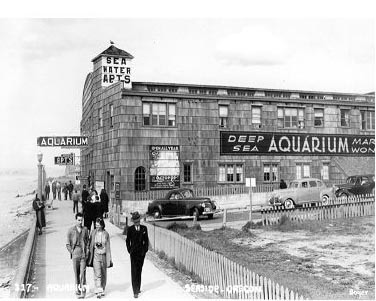 Pre - 1937 The building that houses the Seaside Aquarium was originally constructed as a natatorium, a salt-water swimming pool. 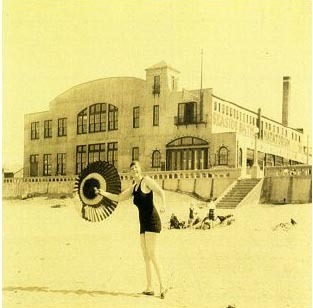 Arthur Viggers� Seaside Baths and Natatorium opened in 1924 to compete with the Oates Natatorium already in business on the Prom at Broadway. The main pool had a fountain in the shallow end that was large enough for multiple people to sit or stand on, a diving tower, and a viewing gallery. A smaller wading pool existed in the front. Water was drawn directly from the ocean and boilers kept water temperatures between 70 and 80 degrees. The depression took its toll and the Seaside Baths Natatorium closed sometime in the early 1930�s, leaving the building empty for years. Preparing for a Different Kind of Swimmer Although its life as a natatorium was short, the building�s design provided the perfect foundation for an aquarium -- a structure specifically designed to pull water from the ocean and filter it. opened Seaside Baths Natatorium, 1924. Postcard of the Seaside Aquarium in the 1940�s. Tubby and Nappy), early 1940�s.